It’s finally feeling like fall here in Phoenix. So it is finally time for soup weather! 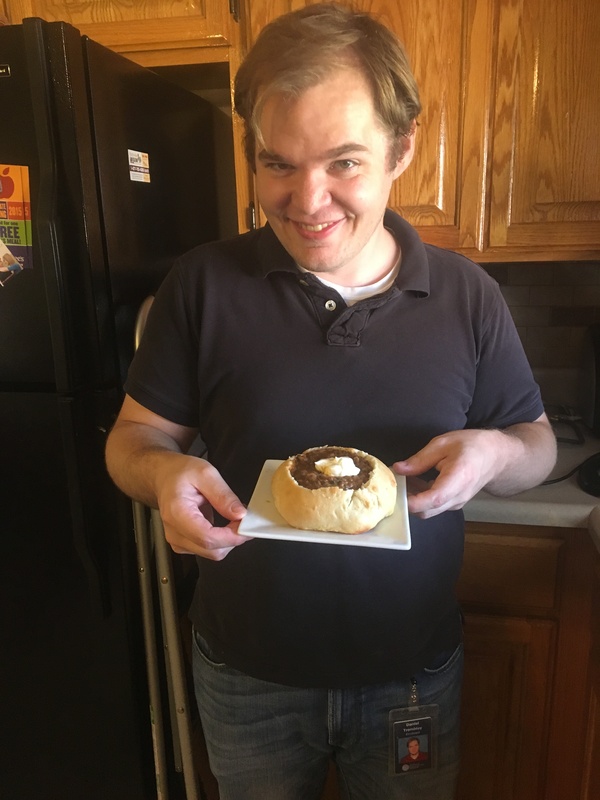 My husband has a theory that everything tastes better if it comes in it’s own edible container- ice cream and waffle cones/bowls, the Cozy Cones of deliciousness they sell at Cars Land in Disney’s California Adventure, and most especially soup in a bread bowl. I have my own fond memories of bread bowls from my time at Pepperdine. Their bread bowls were delicious and when soup in a bread bowl day came you didn’t even mind how long the lines were to get one. It was worth it. 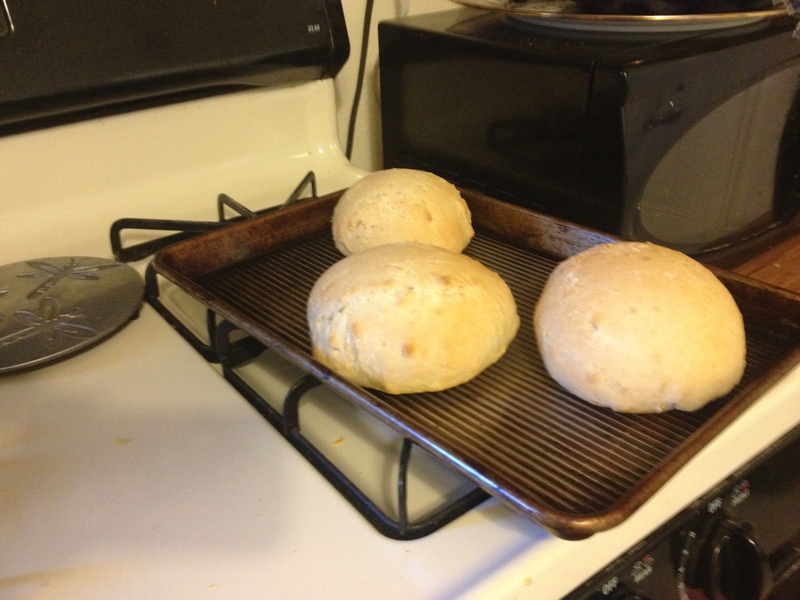 The great thing about making your own bread bowl is that you can make it as big or as small as you want. 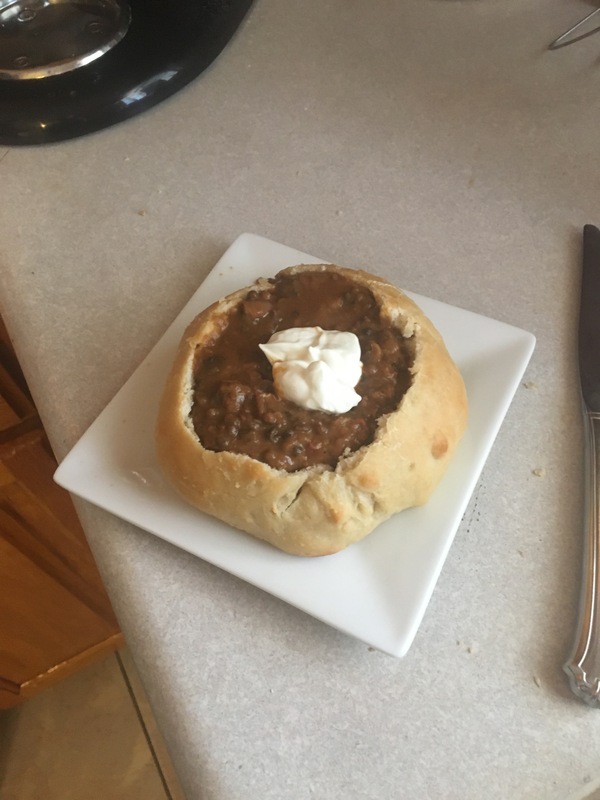 because let’s face it- most places where they sell bread bowls it is like eating a full sized loaf of bread, or maybe even more… I opted to make my bread bowls just a little smaller. Still plenty of carbohydrate deliciousness to sop up the filling, but not so much that we felt sluggish after. We also ended up NOT having soup in our bread bowls as we originally anticipated but instead having lentils which were still delicious. And we still ended up pretty full and very happy. omg – those look delicious! You made the dough and let it rise and everything? With a toddler at home? I am so impressed!!! Yummy!!! Actually recipes where you need time to let the dough rise have been my favorites from this year. It gives me a finite time to accomplish either dishes or laundry or a walk with the little guy before the next step which helps him not to get too impatient with me while I bake! The hardest part is waiting for it to cool when it smells so good and the toddler is screaming to try some straight from the oven!